Each Halloween, we see all sorts of cool carved pumpkins, but we rarely see any Christmas trees that aren’t real or faux trees. 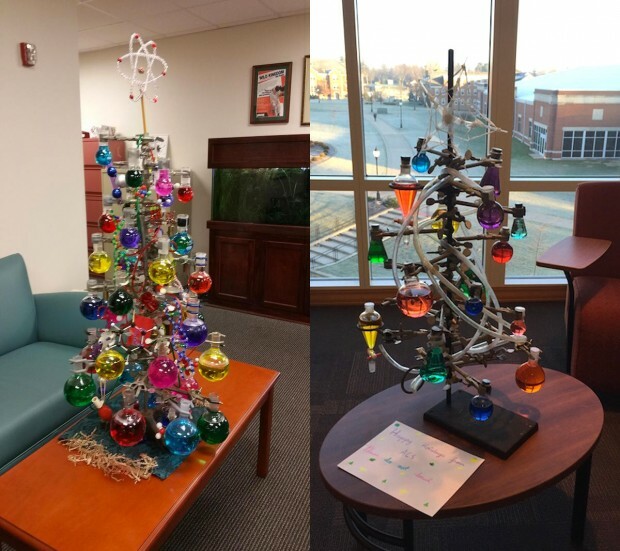 This year we have run across a couple interesting “chemis-trees.” These have the look of a Christmas tree, but they are made using beakers, tubes, and cylinders that are attached to a pole by beaker holders. 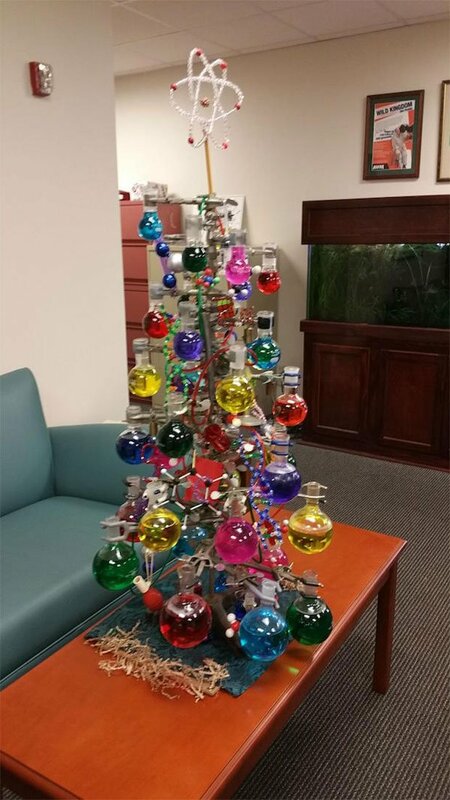 The result are two Christmas trees that any science geek will love. My favorite is the one with the atomic symbol at the top. It also appears to have DNA and atomic models scattered about as well. I even see a Rubik’s Cube on there. The other is a bit more plain, but does make use of tubing for garland, and has what I think is a star made out of coffee stir sticks. 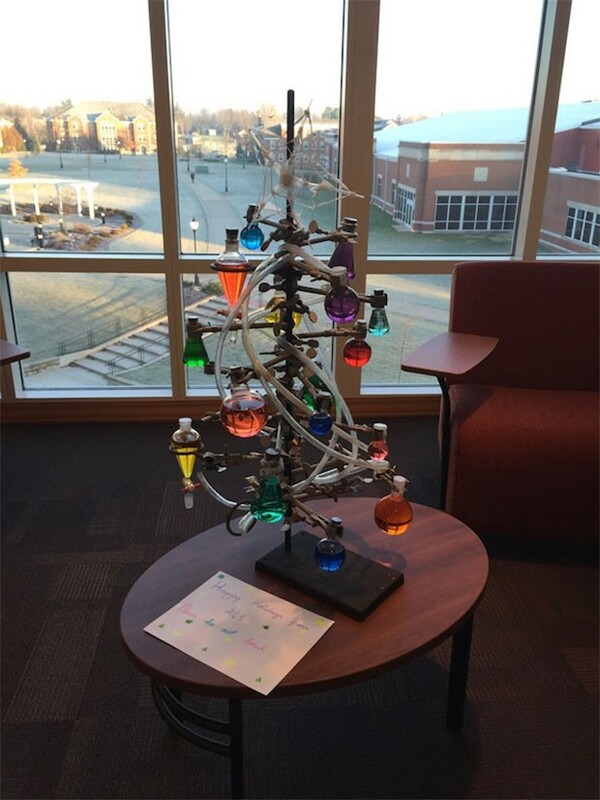 Do you have an unusual Christmas tree? Share yours in the comments below.